Great list!! I have so many challenges going on right now, I'm never going to finish them! I like your list. 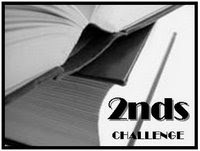 I noticed that you read The Giver for your other challenge, and then put Number the Stars as an alternate for this 2nds Challenge. Have you read Gathering Blue, which is the sequel to The Giver? I loved the Unbearable Lightness of Being. I tried to start "Snow" by Pamuk, but I couldn't get into it. I have it listed for a few challenges, so I guess I'll get to it sooner or later. Perhaps it says something that you read one of his books and want to read another? I love Jodi Picoult (I've heard Vanishing Acts is one of her better ones, but I haven't gotten to it yet). I would really like to do this, but I'm doing 7 challenge! When does this start? Maybe one of my others will have ended by then. I've had The Plague on my TBR shelves for ages but I've never read anything else by Camus. So glad you are going to join us! I like the idea of sharing the first book read. :) We still have a few months to go, but it's fun to plan. Happy Reading! Great list. I haven't read any of them so I will be looking forward to your reviews.